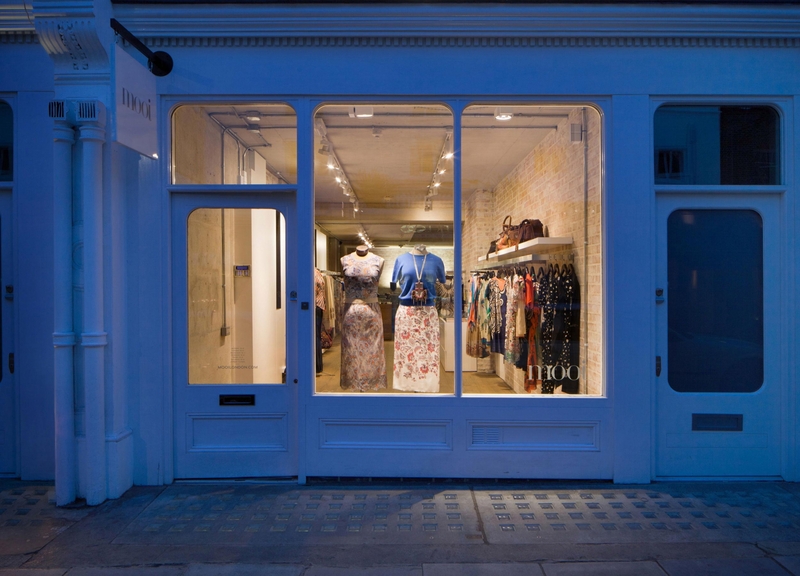 Mooi (meaning ‘beautiful’ in Dutch) offers luxury women’s clothing and accessories from designers including, Clements Ribeiro, Tsumori Chisato and Megan Park. The challenge was to create 100 square metres of suitable retail space from the inherited shell and services, within an extremely tight budget. We developed a series of delicately detailed display objects which act as a counterpoint to the existing materials whilst focussing the customers’ attention on grouped pieces. 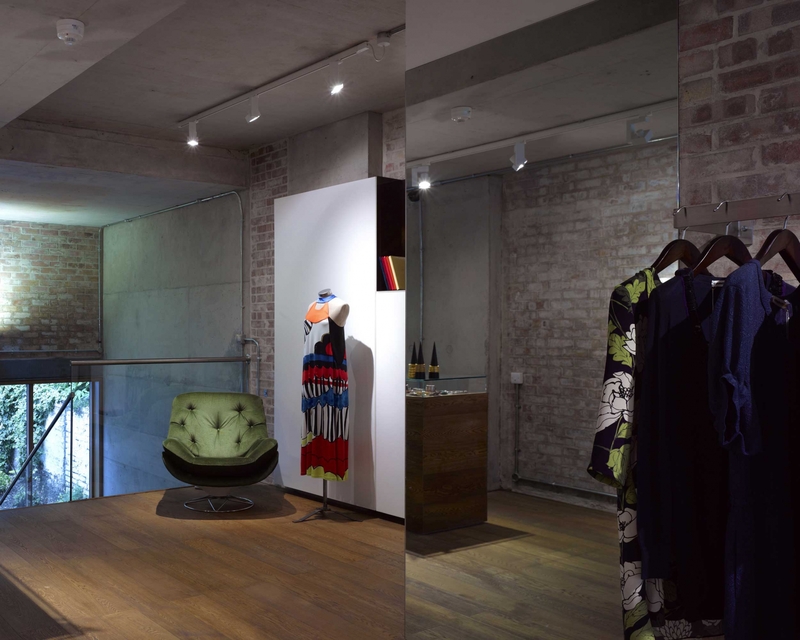 A new timber floor unites the various wall materials at low level whilst the display cases with glass niches form a datum above which there is a less controlled space where fair faced surfaces and services are revealed. 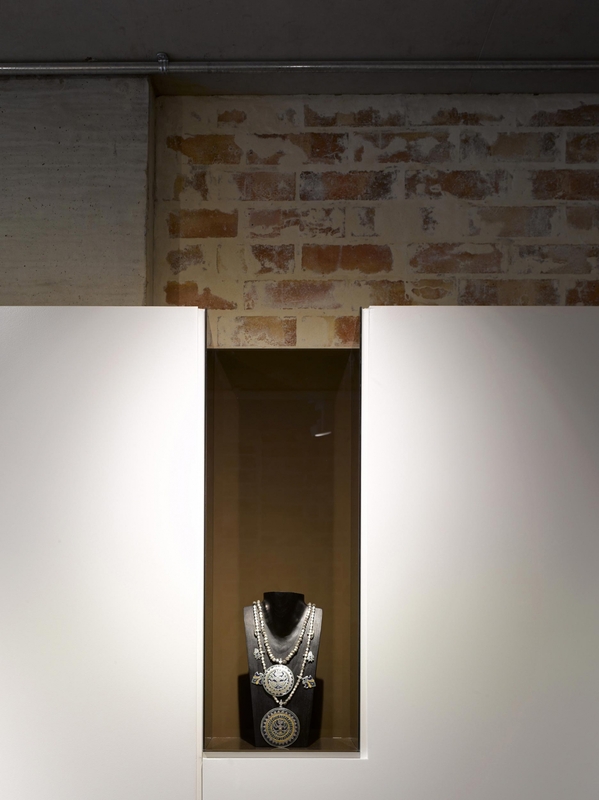 Other objects are displayed within freestanding bespoke cabinets and on simple individual plinths. All colour is introduced through the display of the clothes allowing them to become the focal point and emphasising the shift in seasonal collections from Spring Summer to Autumn Winter.